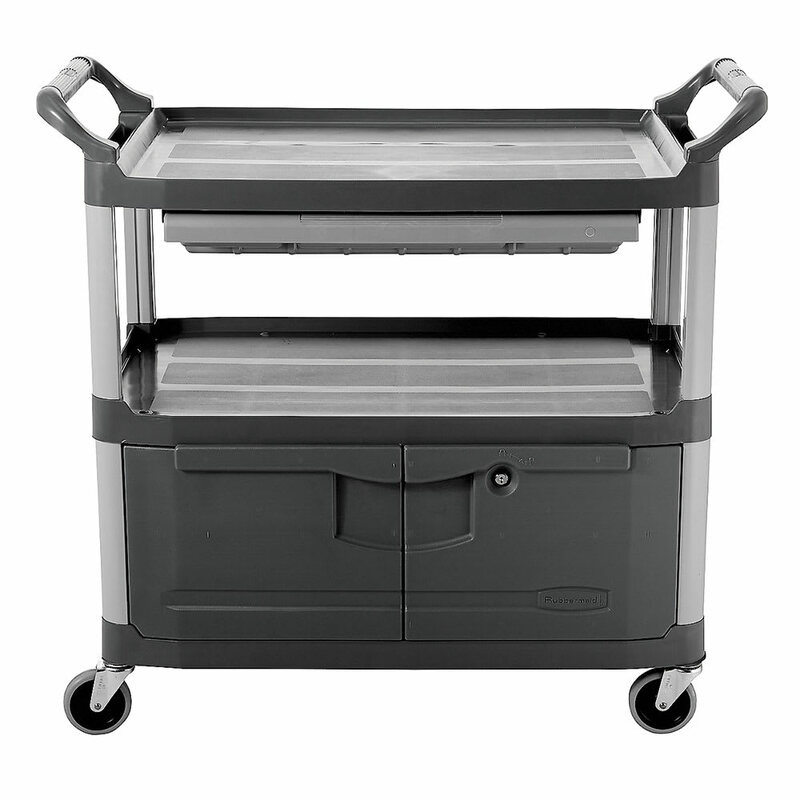 The Rubbermaid FG409400 Xtra™ utility cart has a 300-pound capacity on two levels of shelving and an enclosed compartment for equipment and supplies. Each shelf holds 100 pounds and has a wide design for large items. This unit is designed to withstand heavy use through its metal uprights and molded shelves. In a compartment secured by locking doors, sliding drawers keep stored items organized. 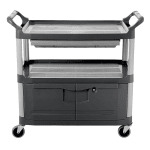 Featuring large, non-marking casters, this cart moves smoothly and quietly across different surfaces. Check out this carts buying guide if you want to read more about these units. "Great product for any use. just needs locking wheels to not roll away when the surface might not be level."